The police identified the gunman as Yacqub Khayre, 29, an Australian citizen who had come to the country from Somalia as a child refugee. 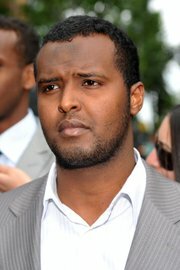 He was charged with planning a suicide attack against a Sydney army base in 2009 but was acquitted. Mr. Khayre had served time in prison for arson and violent crimes unrelated to terrorism and was on parole at the time of the Brighton attack, said Graham Ashton, the chief police commissioner for Victoria State. Mr. Khayre leaving a court in Melbourne in 2010. “This terrorist attack by a known criminal, a man who was only recently released on parole, is a shocking cowardly crime,” Mr. Turnbull said at a news conference on Tuesday. That people “with known records of violence” and those “with known terrorist connections or at least connections with extremists” had been released on parole was a real issue that needed to be addressed, he added. On Friday, Reuters reported that the counterterrorism police in Australia had conducted raids in Melbourne and were questioning three men they said were suspected of providing weapons used in the attack. In the siege on Monday, the police were called to an apartment building after reports of gunfire. When they arrived, the building’s receptionist, a Chinese citizen, was found dead in the lobby. Mr. Khayre had taken a woman hostage, the police said, and, after exchanging fire with the authorities, he was fatally shot. The woman was rescued unharmed; three police officers were wounded. The Islamic State issued a statement calling Mr. Khayre a soldier of the terrorist group who had been responding to calls to fight the coalition, which includes Australia, that is trying to defeat it in Iraq and Syria. The police initially said that nothing suggested Mr. Khayre had been acting on instructions from overseas, though the investigation is continuing. The possible link to terrorism first emerged with a call to a television station during the siege, in which a man said, “This is for I.S.,” presumably a reference to the Islamic State, and, “This is for Al Qaeda.” The station, 7 News Melbourne, said that it and the police believed that the call had come from inside the building where the siege was taking place. A woman could be heard screaming in the background, 7 News said.